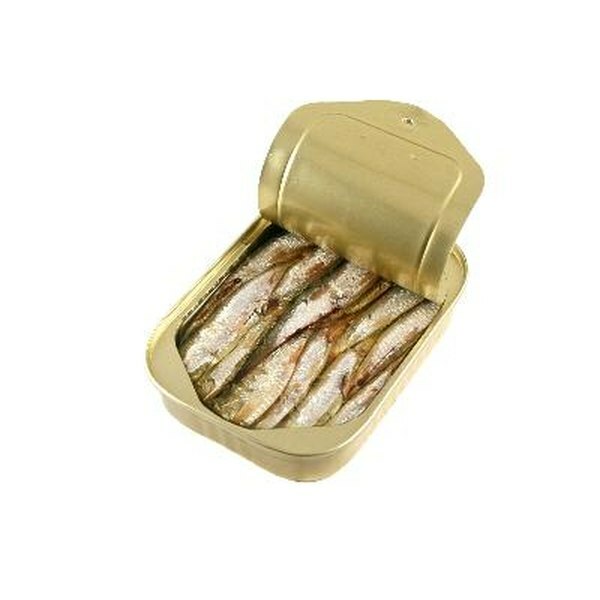 Canned sardines are a rich source of calcium and vitamins E, B-12 and D. Vitamins E and D are two vitamins that many Americans don't get enough of, according to the Linus Pauling Institute. Sardines are also an excellent source of the omega-3 fatty acids eicosapentaenoic acid (EPA) and docosahexaenoic acid (DHA). Adding canned sardines to your diet will help you boost your intake of these beneficial nutrients. One 3-oz. serving of sardines provides 177 calories, 21 grams of protein, 9.7 grams of fat and no carbohydrates or fiber. Moderately active adults require 1,800 to 2,800 calories daily to maintain their body weight. According to the 2010 Dietary Guidelines for Americans, caloric requirements are based on age, gender, height, weight and activity level. The daily requirement for protein is 0.8 grams per kilogram of body weight. For example, a 140-lb. woman weighs 64 kg, and would therefore require 51 grams of protein daily. Because the bones in canned sardines are edible, the calcium content is quite high. One 3-oz. serving of canned sardines provides 325 mg of calcium, or more than 32 percent of the daily requirement for adults (1,000 mg). Not only is calcium important for bone health, but it's also necessary for muscle contraction and nerve impulse transmission. One 3-oz. serving of canned sardines provides 1.7 mg of vitamin E. The daily requirement for adults is 15 mg. Vitamin E is a potent antioxidant that may a play a role in cardiovascular disease prevention, according to the Linus Pauling Institute. A deficiency of vitamin B-12 results in anemia, or a deficiency of red blood cells. One 3-oz. serving of canned sardines provides 7.6 mcg of vitamin B-12 -- more than 100 percent of the daily requirement of 2.4 mcg. One 3-oz. serving of canned sardines provides 164 International Units of vitamin D. The daily requirement for vitamin D is 600 IU for adults up to age 70. Vitamin D is vital for bone health and may also help prevent multiple sclerosis and certain types of cancer. The omega-3 fatty acids EPA and DHA may help decrease chronic inflammation in the body, according to the Linus Pauling Institute. Chronic inflammation is associated with obesity, diabetes and cancer, among other health conditions. One 3-oz. serving of canned sardines provides 402 mg of EPA and 433 mg of DHA. No daily requirement has been established for EPA and DHA. Margaret Wertheim is a Chicago-based registered dietitian and nutritionist with a master's degree in nutrition from Bastyr University and a bachelor's degree in biochemistry from the University of Wisconsin-Madison. She serves as an editor of Nutrition in Chicago, the newsletter of the Chicago Dietetic Association, and maintains her own food and nutrition blog.